A vacation should be fun. There should be no dealing with hosts who are unhappy about two men or two women sharing a bed, or giving you side-eye (or worse) about your gender. If you are visiting a city or country where you don't know anyone, connecting with gay, lesbian or queer owned establishments is the best way to find both a safe place and a knowledgeable local contact. Besides, supporting other lesbian, gay, bi or trans folks is just a good thing to do, particularly in places where discrimination is common. The strategies you use will depend on where you are going, how friendly that country is and how urban or rural the location. In Canada, it is straightforward to find hotels and guest houses that identify themselves as LGBT welcoming or LGBTQ owned. Most urban areas will have LGBTQ organizations you can ask for referrals to services and accommodation. There are certification bodies like TAG Approved, (mainly North America) which charge hotels a fee to certify that they are LGBTQ welcoming. In addition, you will find LGBT welcoming sections in mainstream directories of guest houses like BBCanada, the which allow owners to self select that they are welcoming to LGBTQ people. Read on for more good places to find listings. Travelling to urban areas in countries with marriage equality and legal protections for LGTBQ people should be straightforward. Here is a list of countries with marriage equality. In these countries, particularly if they have had marriage equality for several years, you should be able to be openly LGBTQ in urban areas, will be able to find LGTBQ organizations to ask for referrals to accommodation, and may be able to find gay owned establishments openly advertised as such. 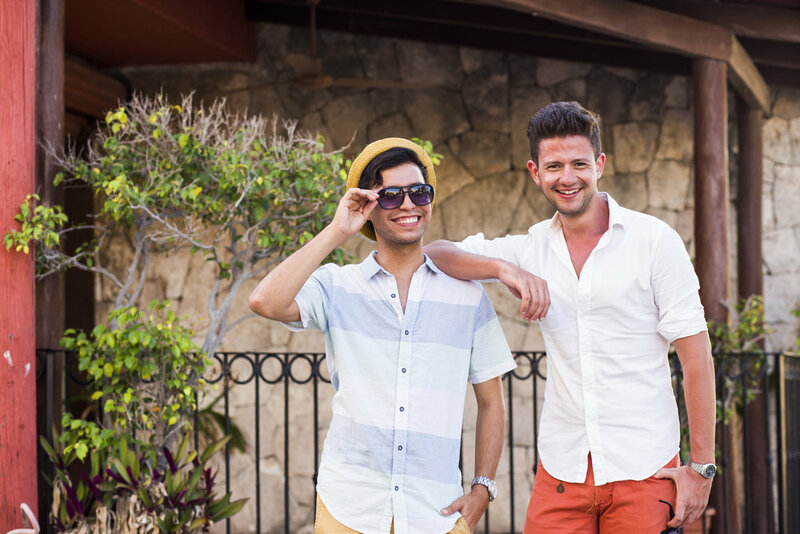 To Find Gay or Lesbian owned rentals, you could try MrBNB , Purple Roofs or Trip Sista or check out the International Gay & Lesbian Travel Association . For destinations in Europe, a directory such as Gay Provence may be helpful as well. Tip: Most of these directories charge business owners a fee to be listed, so most will only have a partial list of the LGBTQ friendly hotels or guest houses in a particular place. For smaller, independent rentals, you can use Google's advanced search to search for the code word LGBT inside specific rental sites, like this search for airbnb . Is it Safe to be LGBT in the Country I'm Travelling To? To find out how a country you are considering travelling to treats it's lesbian, gay, bi and trans citizens, a good resource is the Human Rights Watch World Report. You can click on various countries to see what the local situation is. Another useful resource is the International Lesbian, Gay, Bisexual, Trans and Intersex Association map of the state of laws in various countries in the world. Canada has a great travel advisory website and there's a relevant section titled Lesbian, Gay, Bissexual, Transgender, Queer and two-spirit Canadians abroad. What if the Country I'm Travelling To Has a Poor Human Rights Record? Try and find out updated information from friends who have travelled in those countries, local contacts will be invaluable to helping you find safe places to stay and to know whether there are places where you can be open. Online forums for lesbian, gay, bisexual and trans travellers can be good places to ask questions, and so can gay and lesbian owned travel agencies, or LGBTQ guidebooks such as the Damron Guide. More good advice for travellers may be available from our own country's government, or yours if you hold a passport from a country outside Canada. Why do we lesbians love our potlucks so much?